Every now and again, a film will come along that changes the way I look at cinema. 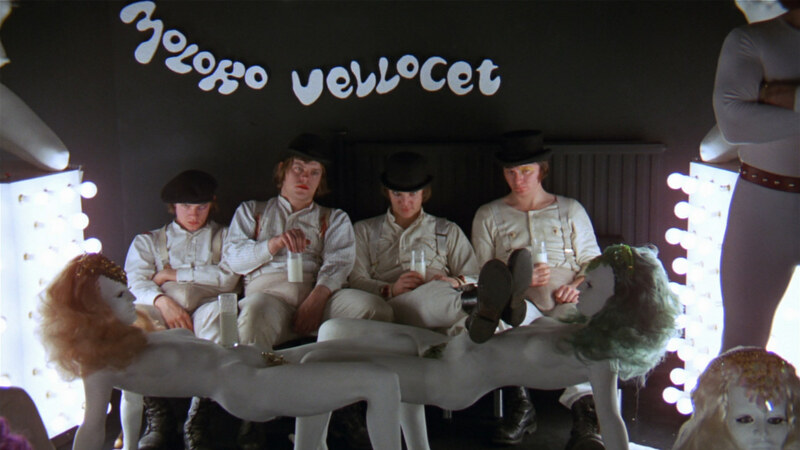 When I was still in my teens, I attended a cinema on Bourke Street late one evening to see a motion picture I had long been curious about: Stanley Kubrick’s A Clockwork Orange (1971), adapted from the 1962 Anthony Burgess novel. 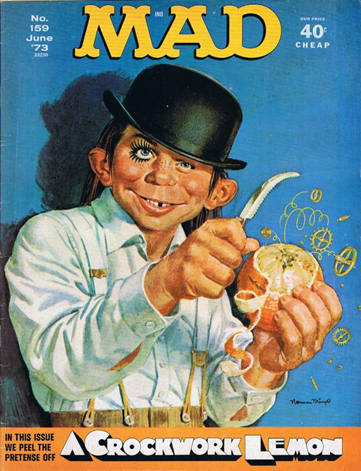 It had been parodied in Mad magazine, it wasn’t available at my local video store, and it didn’t screen on television. The film had been around for nearly a quarter-century by that stage, but as someone who has always been fortunate enough never to have that terrible aversion to old films, I didn’t care. I had to see it. In short, I was flabbergasted. It was around about the time that I started going to see films by myself, and it was the first revival screening of a classic film that I can vividly recall attending. Okay, so I may have attended some Disney screenings as a wee child, I can’t recall, but if I did, those don’t count because (a) as a small child, I thought all films at the cinema were new films, and (b) they were suggested by my parents, and as such weren’t “entertainment electives”. After experiencing A Clockwork Orange for the first time…well, I was shocked, horrified. So much so that I ended up returning to the cinema on Bourke Street twice the next week for another couple of go-arounds. For many years, it was my favourite film. The only reason it’s no longer my clear-cut favourite is because I’ve been exposed to so many cinematic masterpieces, I couldn’t possibly choose one film to stand alone as my most beloved. At the movies, we are gradually being conditioned to accept violence as a sensual pleasure. The directors used to say they were showing us its real face and how ugly it was in order to sensitize us to its horrors. You don’t have to be very keen to see that they are now in fact de-sensitizing us. With that comment, I disagree entirely. A Clockwork Orange, if anything, re-sensitised me to violence on celluloid. I grew up watching action flicks like so many others in the 1980s and 1990s. I didn’t think I could be disturbed by any act of simulated violence on the silver screen, because they’re just movies…right? Stanley Kubrick changed that. There are very few films on my list of favourites that I wouldn’t recommend wholeheartedly to anybody, but A Clockwork Orange is an exception. Recommend to most, absolutely, recommend to all, no. The infamous home invasion scene shall be deeply disturbing to the first-time viewer, especially if you’re a fan of Gene Kelly. And it’s not exactly the world’s greatest first-date movie (I know this from personal experience). Having said all that, if you’re up for some challenging cinema, attend the movies by yourself, and don’t mind having your rose-coloured memories of Singin’ in the Rain (1951) spoiled for life, then by all means, please do see Clockwork on the big screen. 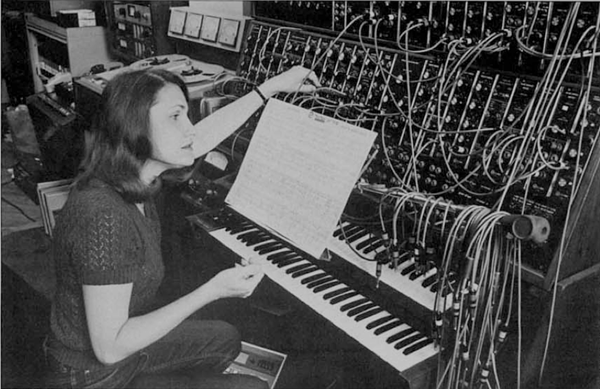 Notice that I haven’t raved at length about Malcolm McDowell’s charismatic central performance as Alexander DeLarge, the unforgettable electronic musical soundtrack by Wendy Carlos, John Alcott’s stunning cinematography and all the rest of it. I haven’t even delved into the film’s storyline. A Clockwork Orange is a film that can speak for itself.